A celebrated historic East Valley resident was César Chávez, and the East Valley was the first area to begin the grape boycott. The East Valley terrain includes foothills and flat lands at their base. The eastern foothills are part of the Diablo range, and many neighborhoods have views of the range or the valley. The Diablo Range also provides plenty of natural space, and a blend of parks and private ranch land with residential areas in the foothills. Parks include the Mount Diablo State Park, Alum Rock Park, Sierra Vista Open Space Preserve, Joseph D Grant Ranch Park (the largest park in Santa Clara County), and more. Entertainment and leisure opportunities for the family include Raging Waters water park, Eastridge Mall the Mexican Heritage Plaza, Lake Cunningham, and Kelley Park, which includes Happy Hollow Zoo, the Japanese Friendship Garden, the History Park, and two museums, the Portuguese Historical Museum and Viet Museum, along with plenty of picnic areas, walking paths, lawns, tree groves, and more. Access to two major lines of public transit, BART (Bay Area Rapid Transit) which will be installed in the next couple of years and current VTA (Valley Transit Authority) connection, makes travel simple. This is a more affordable area in the Valley, but as such schools do not rate as highly in this area as in others and the crime rates could be better. CalTrain is accessed along Highway 101, too. I recently had the pleasure of closing on a listing in Menlo Commons, a senior community, located at 2140 Santa Cruz Ave in the lovely city of Menlo Park! Menlo Commons is a 55+ community, meaning that at least one resident must be age 55 or older, but other residents can be any age. Residents enjoy plenty of features in the resort-like community space, with common areas including a large kitchen, a large formal dining or meeting room, an exercise room, plenty of lounge areas with large windows, grass fields, and a pool and hot tub, to name a few. Common areas, grounds, and resident parking are gated with ample open parking to residents and visitors. Units come in one to two bedroom floorplans, each with balconies, and Home Owners Association (HOA) Dues are appx $600-$760 per month for one and two bed units respectively. What makes Menlo Commons really special is it’s fantastic location. This complex is stationed near the boarder of Menlo Park and Stanford with plenty of benefits to it’s location. Menlo Commons has easy access to both 280 and 82 and is tied into a bus route. Shopping and entertainment abound, with Stanford Golf Course about a block away, a Safeway less than half a mile away, Stanford Shopping Center about 1.5 miles down the road with downtown Menlo Park only a little farther. Living so close to the university makes it a snap to enjoy regular outings to enjoy musical, theatrical, and sports events. Over the last 6 months or so, units have been selling between $690,000 and $910,000. Only one of these five sales was a single bed unit, and it was the only one which sold below list price. With over 120 units and showing 13 sales in the year 2017, most selling in under a month, there appears to be a slow but regular inventory of units available in Menlo Commons and a similar demand. Who wouldn’t want to live in a place with so much to offer! Some of the community spaces in Menlo Commons. One of the more confusing elements for home buyers attempting to anticipate their closing costs is the property tax prorations, which are referenced in the purchase agreement or contract, but not explained. As most Silicon Valley real estate consumers know, home owners in California do pay property taxes. When a home is being sold, the sellers pay that tax up to the date of closing, and the buyers pay it from the date of closing on. Put another way, the property tax is prorated. While that seems simple enough in theory, the ins and outs of it are not so straightforward due to the way the county collects the funds and how slowly the county’s system updates the amount owed after the change of ownership. It may be particularly confusing to first time home buyers, but all may be caught off guard. The county’s tax assessor’s office works off of a fiscal year that runs from July 1st to June 30th. The property tax bill is issued once a year, in the fall, based on the assessed value as of January 1st of that year. It may be paid twice, once in late fall (due Nov 1, delinquent after Dec 10), and once more a few months later, into the new year (due Feb. 1, delinquent after April 10th (not the 15th, the Federal Income Tax deadline to file and pay, which confuses people). Please note the long lag time between when the property is assessed and when the real estate taxes may be due. Your home could be assessed on January 1 2018, but the second installment of the tax bill for that assessment is not required to be paid until April 10th 2019. Now overlay the long lag time on top of home buying and selling in our pricey San Jose area with our equally high real estate taxes for new home owners and you begin to see where trouble may be brewing. Whenever you close escrow, there will be a property tax amount due for the current installment which the home buyer needs to pay at the time of closing. If the seller has already paid that installment (which will be a lower rate than the new home buyer’s rate most years), the buyer must reimburse the seller for all the days after close of escrow for that billing period for which the seller has already paid. If someone closes escrow on June 28, it would be a very small amount, since the tax year begins again on July 1st. If it is at the beginning of the billing period, it would be larger. If it is early in the payment cycle, say, January 10th, and the bill has not yet been paid, there will be a more significant tax bill due to the county, of course, since it is more months being covered. Whether paying the county directly or reimbursing the seller, the payment for the current installment will be made in escrow and will be a part of the closing costs. Now let’s get into the nuances of it. If you, the Silicon Valley home buyer, are better prepared, you won’t face a financial surprise later. As I mentioned, the rate that you as a home buyer pays at close of escrow is the seller’s current installment, which is based on a January 1st assessment of the property either the same year (1st installment) or the year before (2nd installment). If the sellers bought their home 30 years ago, the tax rate charged at closing will be super low. If they bought it 1 year ago, it will be far higher. Either way, it is the old rate – not the buyer’s new rate. Real property, or real estate, is reassessed when a house or condo is bought or sold. The new property tax rate will be approximately 1.25% of the purchase price initially. After that, the assessed rate goes up a max of 2% per year. In other words, the property tax which will be due from the date of ownership forward will be based on the sale price, not the current seller’s tax bill. However, at the time of closing, buyers are not charged their new or real rate. They are charged the seller’s rate, which is lower than the true new rate the buyer will owe. It’s not a gift that you pay less at closing – no such luck! The government will ask for the balance later (usually as soon as the buyer forgets about the taxes that will be due). Concretely, on a $1,000,000 purchase, that means $12,500 per year, or a little more than $1,000 per month ($1041.67) for property tax will be due in reality, no matter what amount someone buying the property paid at closing. Perhaps the seller’s rate was $600 per year, and that’s what you are charged at close of escrow. The rest will be due later, when the county catches up. Also note that if you have an impound account for your mortgage and taxes, you may need to still pay the supplemental tax bill directly. Check with the holder of your impound account on how to handle that. When reviewing closing costs for purchasing a new townhouse, condo, or single family home, the actual property tax rate is not covered – it is a hidden cost. It is not due right at closing, so it’s fair to only calculate what must be paid as of closing. But somewhere in the margins, it would be good to know the amount of the bill that will be coming in 3 to 6 months, before that money is spent on new curtains and furnishings for the home or some other worthy cause. Home buyers can calculate this by making use of the county’s supplemental property tax calculator on the assessor’s website. Or ask the escrow officer to help compute the amount that will be due so there will be no surprise. Put it in your monthly calendar that “X amount” will be due until the bill comes and you’ve paid it. When are Silicon Valley property taxes due? As readers of this site may know, I host a number of Silicon Valley area blogs, including one called Live in Los Gatos. Over time, I created Los Gatos neighborhood videos to showcase many of the communities within the town. A collection of the Los Gatos neighborhood drive throughs and pans can be found on my YouTube channel, or you can enjoy them here. Featured Los Gatos neighborhood videos include single family homes right now, but the plan is to expand the list to offer drive throughs to popular townhome communities such as Rinconada Hills, Charter Oaks, Los Gatos Village and more. For many more neighborhood profiles, see the LiveInLosGatosBlog.com. 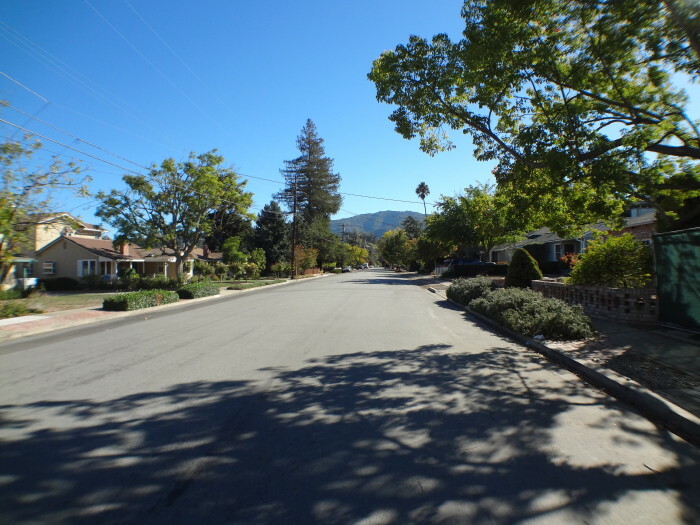 Wondering what Los Gatos neighborhoods are like? Sit back and enjoy the tour! My Valley of Heart’s Delight blog features neighborhood profiles and real estate market reports for Los Gatos, the Almaden Valley area of San Jose, the Cambrian Park area of San Jose, plus some in Saratoga and various other parts of Santa Clara Valley / Silicon Valley. My hope is to create a library of neighborhood profiles with videos, photos, maps, and unique information that you won’t find anywhere else. At some point I hope to finish my Los Gatos neighborhood videos, and at that point begin to include other nearby communities as well. Given the revolution in technology that we’ve experienced over the last few years we must look at what technology can and cannot do. This differentiation is especially crucial when dealing with real estate, an environment where online companies clutter the bandwidth and your inbox with schemes to save incredible amounts of money and time by using their services. Now let’s be clear: technology, and specifically the internet, is a wonderful thing! Technology is a fabulous way to gather data and can do functionary tasks better, faster and cheaper than any human being ever could. But the danger does not lie in understanding that technol- ogy. The danger is that by itself, the internet can never provide the fiduciary counsel required in services such as mortgage lending, law and real estate. Functionary, fiduciary—why do we keep using these “f” words? Simply, it’s very important to understand the difference between the data that you can get online and the advice, counsel and interpretation of that data that only your Realtor® can provide if you’re to get the best deal when you sell a home. As web-savvy Realtors® who generate a significant portion of our business online, we are big believers in the free flow of information. You will find that both online and off, this new breed of Realtor® usually provides the most complete sources of information that you’ll find anywhere. Campbell CA real estate is among the most desirable in Silicon Valley. This popular town is known for being self contained with a vibrant, walk-able downtown, lots of parks (including a dog park, shared with neighboring Los Gatos), the Los Gatos Creek Trail, movie theaters, a nice variety of restaurants, great shopping (both downtown, at the Pruneyard, and along major roads such as Winchester Boulevard and Bascom Avenue). Cambpell provides good transportation as Highway 17 / 880 runs nearby (accessed via Hamilton or Camden Avenues) on one side and San Tomas Expressway on the other. Additionally, there’s an especially helpful light rail station in downtown, making Campbell one of the most accessible areas of the valley. Campbell has a strong business presence, too, with E Bay offices along Hamilton being noteworthy. What are homes like in Campbell? The older section of Cambell, near downtown, features beautiful Victorian and other classic, older homes from the turn of the last century. Much of the city offers single story, ranch style houses (as is the case throughout the San Jose area or the San Francisco Bay Area), but it’s not exclusively ramblers or one story houses. Two stories, split level, and other architectural styles can be found, too, including Tudor, French, and Spanish Revival, among others. Further, condos & townhouses (young and old), multi-family (duplex to fourplex) and newer 2 story houses can be found in this small city, too. Rental accommodations vary too. 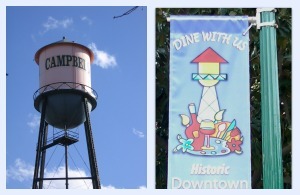 On top of the regular assortment of apartments and other types of homes to rent, downtown Campbell also enjoys senior living opportunities. A new independent and assisted living place opened not too long ago along Winchester Blvd, Merrill Gardens. (Disclaimer: I have not been there personally to check it out, but am hearing good things about it.) Campbell is a place for people of all ages! What are Campbell CA real estate prices like? Campbell home prices are a little more than the average for the city of San Jose as a whole. As of this writing in August 2017, the median sale price for a home in San Jose is $1,175,000 while in Campbell it’s $1,275,000. Please click on this link to view the current Silicon Valley Real Estate Report to see current pricing for Campbell and all the cities and towns in Santa Clara County. The housing market is extremely competitive right now throughout the San Francisco Bay Area and Silicon Valley. It can be challenging to purchase a home with less than 20% down due to multiple offers and buyers sometimes waiving all contingencies to secure the sale. A vibrant community with a prized, walk-able downtown, Campbell California is probably the most popular city in Santa Clara County or Silicon Valley today. Can you really have too much of a good thing? Perhaps, but not when it’s in depth real estate information! Below please find a list of my blogs and a description on each one. Live in Los Gatos was my first successful blog. Original description: “A blog about Los Gatos real estate, homes, houses, condos, townhomes, housing market, neighborhoods, history, events, businesses, parks, schools, photos, issues, and lifestyle by Mary Pope-Handy, town resident, enthusiast and Realtor.” Also, it’s a place to live, as in “come to live in Los Gatos” (not like in Saturday Night Live). The back story to Live in Los Gatos: Begun in late 2006, this blog started on the Real Town platform but moved to WordPress in 2014. I built out this blog in 2007 during the Project Blogger competition, which I entered as an apprentice together with my mentor, Frances Flynn Thorsen. We won the nationwide competition and our $5000 winnings were donated to CARE. But more to the point for a Los Gatos Realtor, it did bring me business and within a year or two I was closing some nice sales as a direct result of my writing on LILG. Number of articles: About 800 between the old and new platforms. SanJoseRealEstateLosGatosHomes.com (aka the Valley of Hearts Delight blog) – since blogging about Los Gatos took off so well, I decided to experiment and branch out geographically but narrow the topic to more real estate centric. Geographically, the focus is on Los Gatos, Almaden, Cambrian, Campbell, Monte Sereno, Saratoga, and the Los Gatos Mountains (so LG and what’s closest) – but also includes most all of Santa Clara County. Move2SiliconValley.com is a relocation website, a resource for people thinking of moving to the Peninsula or South Bay areas or generally to Silicon Valley. Things discussed include area information, cost of housing (mostly to buy but some rental info shared), comparing the cost of homes from one community to the next, traffic patterns, micro climates, schools and more. popehandy.com/blog is a blog recently added to my very old website, popehandy.com, which began in around 2000. 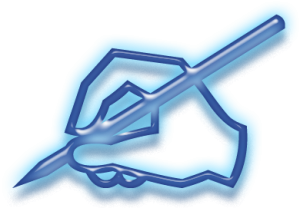 The popehandy.com site is aimed at the broader Silicon Valley real estate market, so includes area info on San Mateo County and Santa Cruz County as well as Santa Clara County. This blog will also include a focus home Selling a home in Silicon Valley. Belwood of Los Gatos is a site dedicated to the Belwood, Belgatos, and Surmont neighborhoods of east Los Gatos, which has about 500 homes in it. 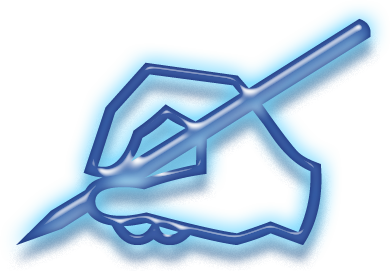 Articles added monthly. HauntedRealEstate.com – just for fun stories about real estate with (usually) unseen residents. Mary Pope-Handy on Active Rain website – not too active here anymore. If you love the idea of living under a scenic canopy of redwoods within easy access of the coast, Boulder Creek is a place to consider. It offers a more rural way of life. It also provides a relatively affordable housing market as compared to Silicon Valley. The trade off for Santa Clara County workers is a lengthy commute over “the hill” into either Saratoga or Los Gatos. 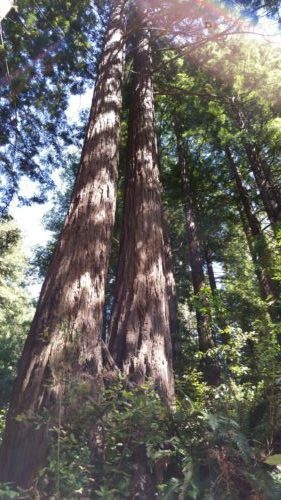 All those gorgeous redwood trees thrive with abundant rainfall, so the weather there is a little different from Silicon Valley generally, which tends to be drier. Boulder Creek gets 43 inches of rain annually on average. (The US average is 39 inches, so no drought conditions there!) How does that compare to nearby areas? Santa Cruz, along the beach of the Monterey Bay and the Pacific Ocean, receives 31.6″ annually. Los Gatos, nestled into the base of the Santa Cruz Mountains but on the inland side, gets 23 inches. San Jose, further east, gets 17 inches per year. Home prices in Boulder Creek may be half that of San Jose, or at least parts of it. For many Silicon Valley workers, that’s compelling enough to make the long drive each work day worthwhile. If you’re curious about the Boulder Creek real estate market, please check out this link on the market statistics and trends here. It is updated automatically each month, usually between the 5th and the 10th. It is not easy to find a remodeled or updated house for less than a half million dollars, but it is possible in Boulder Creek. Want to browse listings of homes for sale in Boulder Creek and nearby areas? Have a look below at the map search tool, which is updated automatically as new properties come on the market (and others go sale pending). If you are interested in buying or selling a home there, please reach out to me and we can discuss confidentially and get you started. As of January 1, 2017, all single-family homes in California built before 1994 will be required to have only low flow toilets and certain other water saving fixtures installed. 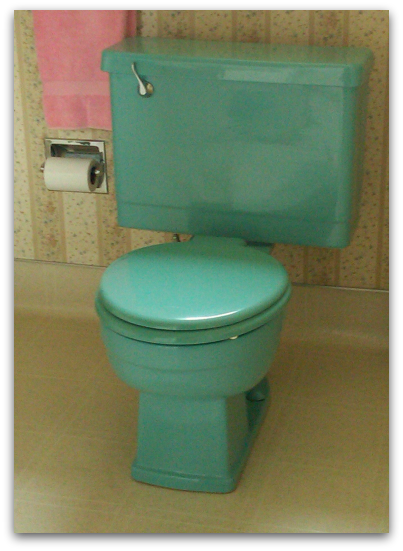 What constitutes a low flow toilet? Low flow toilets will be designed to use no more than 1.6 gallons on average per flush. Some water conserving commodes will have dual flushes, with one for solids that uses more than 1.6 gallons, and one for liquids which will utilize fewer than 1.6 gallons. Most of the attention has been around Low flow toilets, but they aren’t the only objects of the new law. What fixtures won’t pass the standards of the upcoming law? You might have anticipated the answer if you’ve been watching Santa Clara County’s water saving efforts during the drought. Showerheads and faucet filters have been offered for free in many instances and there was the HET toilet rebate program, too. Take note that the law requires the replacement of units manufactured for a high level of water use, so displacing water in your toilet tank with a brick, bottle, or by other means does not make the fixture pass law. What changes will this effect in real estate transactions? This is not a point-of-sale law. So what does that mean? Owners must install WCP fixtures (Water-Conserving Plumbing fixtures), including low flow toilets, whether they are selling or not. If you own a home you must comply. If a homeowner does not comply, however, it will not affect a property transaction. Either way the seller is required to disclose. What should be disclosed when selling a home regarding these devices? The legal requirements in writing. Any and all compliant and/or noncompliant fixtures, if any, on the property in writing. “Seller’s affirmation,” meaning the seller’s confirmation that the disclosures provided are in fact the sellers and not the agents, that they are not part of the contract, nor a warranty, and do not substitute a buyer’s inspection. Mandatory when a TDS is used. Both the TDS (Transfer Disclosure Statement) and the ESD (Exempt Seller Disclosure) will be (or have been) modified to include the legal language explaining the regulations as required by the new law, which takes care of disclosure #1. The second disclosure requirement, disclosing compliance and/or noncompliance, will also be covered in the ESD forms. The TDS provides check boxes to disclose compliant fixtures. The law is still being fine-tuned, so it is yet unclear whether an unchecked box on the TDS disclosing replaced fixtures is enough of a disclosure for noncomplying fixtures. The third provision is only required with a TDS and will be part of the Seller Property Questionnaire (form SPQ) update in December. Many local laws do have point-of-sale WCP fixture requirements, which this law will grandfather in so long as they were in effect before July 1st, 2009. Even if the requirements are less severe, such as allowing a higher gallon limiter, these local laws will continue to apply. Newer local ordinances, those established any time after July 1st, 2009 or in the future, are allowed to establish or promote stricter regulation and will not be supplanted by the state law. Plan to update old fixtures, but check local law before you do for more or less stringent laws. Homeowners, plan to invest in thsee updates between now and the new year (plumbers might be busier than usual for a while). And look for freebies and rebates which are becoming less frequently available.